HOW TO OPTIMISE AND MAXIMISE THE IMPACT AND PROFITABILITY OF YOUR BUSINESS? Discover the Seven Forces of Business Mastery to dominate in any industry in spite of the economic conditions or unexpected corporate challenges! Embrace the powerful philosophy of never-ending improvement to experience geometrical growth and sustainable profitability in your business. HOW TO REDEFINE THE FUTURE OF YOUR BUSINESS? Know exactly where your business really is – not where you think it is. The competitive advantages that put you in business and made you successful in the first place are almost certainly not sustainable moving forward. By becoming even more skilled and adaptable in your business, you will unveil opportunities that your competition will likely miss. Are you looking for strategies that yield exponential growth? Scale up your marketing with cutting-edge innovations. Discover strategies taken directly from the playbooks of today’s most formidable entrepreneurs and CEOs. Do you want your business to become your legacy? Protect your business with ironclad strategies that preserve your hard-earned wealth. 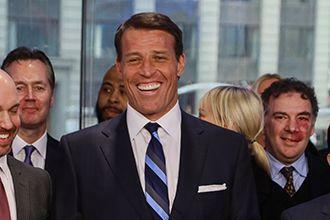 Find out how billionaires protect their assets from lawsuits. Watch your wealth multiply by using growth strategies only the world’s savviest investors know about. Pass your legacy on to future generations, so your family NEVER worries about money. AFTER PERSONALLY COACHING MORE THAN 50 MILLION PEOPLE, TONY HAS MASTERED THE PSYCHOLOGY OF SUCCESS AND IS CONSIDERED THE WORLD’S NUMBER ONE LIFE AND BUSINESS STRATEGIST. Tony has studied, coached and modeled some of the world’s top-most achievers and experts across a wide range of fields and disciplines. 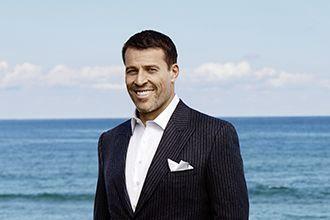 Tony Robbins is an entrepreneur, #1 NY Times bestselling author, philanthropist, and America’s #1 Life and Business Strategist. For more than 4 decades, more than 50 million people have enjoyed the warmth, humour, and transformational power of his business and personal development events. He is America’s #1 life and business strategist. 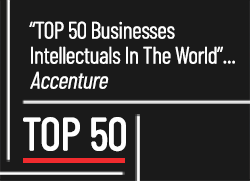 He has been honoured by Accenture as one of the “Top 50 Business Intellectuals in the World“; by Harvard Business Press as one of the “Top 200 Business Gurus”; and by American Express as one of the “Top Six Business Leaders in the World” to coach its entrepreneurial clients. His work has touched the lives of top entertainers — from Aerosmith to Green Day, to Usher and Pitbull. As well as athletes like Serena Williams, Andre Agassi, and the Golden State Warriors. Billionaire business leaders seek his advice as well; casino magnate Steve Wynn, and Salesforce.com founder Marc Benioff are among those grateful for his coaching. As a philanthropist, through his partnership with Feeding America, Tony has provided over 325 million meals in the last 3 years to those in need. 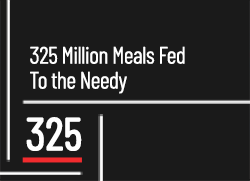 He is on track to provide a billion meals over the next 7 years. He has also initiated programs in more than 1,500 schools, 700 prisons, and 50,000 service organizations and shelters. He provides fresh water to 250,000 people a day in India in order to fight the number one killer of children in that country-waterborne diseases. Alongside Tony we have bought together a group of the world’s best business coaches that have devoted their time and energy to helping thousands of entrepreneurs create exponential growth. Business can be overwhelming. That’s why at Business Mastery, you’ll switch from panic mode when thinking about your business into STRATEGIC mode. Tony makes it easy by revealing the Seven Forces you must focus on to rapidly scale your business. Discover how to tap into your unbeatable competitive advantage so you instantly stand head-and-shoulders above your competitors. Know exactly where your business really is — not where you think it is. Keep customers buying again and again. Find out how legendary CEOs and innovators touch the hearts of customers to create lifelong customers. Get tools and strategies you can use to grow your business by 100% and increase your profitability by 50% within the next 12 months! Realize the impact of your organization’s “Stage of Life.” Organizations, like living creatures, have stages of life — they are born, they age, they mature, and they die. Only by understanding where your business is in this cycle, can you anticipate, prepare and solve the inevitable challenges that will occur in your business in advance. Uncover the truth of how the best companies in the world acquire new customers. Get leads for pennies on the dollar — while everyone else competes at unfair prices! Ramp up every aspect of your marketing with innovations that will reshape the landscape of you business. … and a system for transforming your enterprise by simply reframing your understanding of what your business REALLY is. If you want to take every scrap of revenue off the table, you must learn how to structure each sale. And if you train your team with that optimised new process, you can sit back and watch them hit their sales quotas and multiply revenues overnight! This sales optimisation process also gives you a bullet-proof strategy to fight against turbulence in the economy. Because there were once 1000 buyers to every 50 sellers, but the economy is changing. People are finding it harder to survive, and are less willing to spend money… to the point where there are closer to 300 buyers to every 50 sellers. With fewer buyers and stiffer competition, you MUST understand how to protect yourself. That’s why you’ll really going to love implementing these sales systems! You must design a POWERFUL vision for your enterprise. Regardless of how successful or profitable your enterprise is, without a compelling vision for its future, it will not grow. That’s why you must design a vision that is big enough to reignite the passion and genius that originally gave birth to your empire. This is your pathway through any business challenge! Because it also turns your customers into ambassadors who spread your company’s message. Watch, as thousands promote your brand on social media and all over the Worldwide Web for FREE! Savvy business owners exploit key metrics that keep their business healthy. They also have the proper legal paperwork that will keep them from losing everything and more in a surprise lawsuit. The right documents and analysis will provide you with a detailed understanding of where your business has been, where it is today, where it is going in the future, so you can make strategic shifts that will have an exponential impact in the long term. Stay relaxed and engaged with your friends and family members — and stop being distracted by your business! Have you ever wondered what the tell-tale signs of a bad hire before it happens? Have you ever wanted to train your team to be more productive and committed? If you could do those things then surely you could streamline your processes to grow exponentially bigger, couldn’t you? Discover the systematic method to uncover every business problem that has not yet been solved by you and your team. By looking at your business through a new filter, you’ll discover what needs to be solved first and how to capture, categorise, and sequence your approach to build momentum and maximise success. Business Mastery will help you understand the critical factors impacting your business right now, then refocus and realign with the business strategy and psychology you need for competing and innovating in any economy. 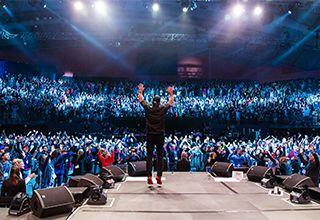 Tony Robbins is an internationally acclaimed business leader. 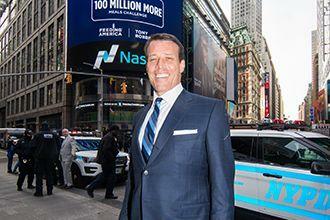 His companies employ tens of thousands — and generate billions in annual revenue. Tony’s personal net worth exceeds half a billion dollars. With Business Mastery, Tony has distilled his business acumen into a framework that any business owner can apply to produce geometric growth. The Seven Forces of Business Mastery is responsible for helping countless entrepreneurs disproportionately scale their revenues. Some have even grown to the billion-dollar mark. In fact, Marc Benioff, CEO of Salesforce.com, credits Tony for his company’s phenomenal success. 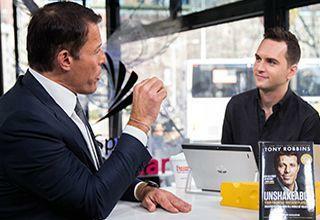 Marc said Salesforce flat-out wouldn’t exist if it weren’t for Tony. And today, Salesforce’s market cap exceeds $104.64 billion. 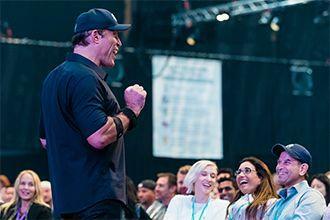 Come to Business Mastery and watch Tony up close as he reveals secrets for scaling any company to unprecedented new highs. On day 1, we dive straight into Tony’s Seven Forces of Business Mastery. As we lay the groundwork for creating monumental growth your company, you’ll run a simple 5-part diagnostic to assess yourself and your business. It will also identify your most lucrative opportunities that will lead you to immediate profits. Enjoy Tony’s riveting presence, as he breaks down rarely discussed strategies. 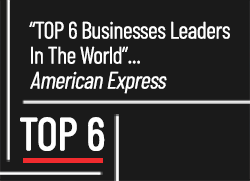 (Based on case studies from industry leaders like Apple, Zappos, American Express, Facebook and more). Every insight will be presented in a way that you can immediately apply to your business — so you can see immediate results! Discover how to standout in your category by adding VALUE. Offer expertise — and stop inundating your customers with annoying, or unhelpful messaging. This will dramatically reduce the number of customers who get annoyed, complain about you, and opt-out of communication with you. That last point is crucially important. Because it costs between FIVE and TWENTY-FIVE times as much to get a new customer than it is to keep an old one. Did you know that? This is according to research done by Bain & Company, and this means — above all — that keeping your customers in the long term is EXTREMELY valuable. That’s why, on Day 2 of Business Mastery, Tony will show you how to extract more revenue from the customers you already have. We’ll dissect your business — and uncover wellsprings of opportunity. See significant increases in revenue without having to spend an extra dime on advertising. Tony also explores innovation, which the key to finding the best way to meet your client’s needs — better than anybody else in your market. Innovation doesn’t have to be glamorous, but it absolutely must be strategic. Plus, you must innovate in ways that actually matter to your client. Once we uncover the unique ways you meet your customers needs better than your competitors, we will discuss the three ways to grow your business and tailor a 10-10-10 plan that’s right for you. On Day 3, we look at what it actually takes for you to achieve EXPLOSIVE growth in your business. And contrary to popular belief, this is NOT done by making giant changes, but instead, by fine-tuning and making small adjustments. In reality, if you understand the force of optimisation and maximisation — of your people, processes, and financials — you can grow your business consistently while others are taking wild risks that don’t always pay off. Above all, Day 3 will help you assess and measure each process in your marketing and sales value chain. This will help you make the small changes that compound to account for huge gains. You’ll see the goldmine of opportunity that’s hiding in your numbers — even if your company’s currently operating in the red! You’ll discover a completely new lens from which to view your business, so you can clearly see your company’s past, present, and future. With the right information at your fingertips, you’ll learn new, actionable insights about your business. Use this reliable data to make informed decisions about your company’s future — and to avoid pitfalls that could eat away your bottom line! What do Larry King, Mike Tyson, Elton John, Mick Fleetwood, and Cyndi Lauper all have in common? They are just a few high-earners in their respective fields who have all filed for bankruptcy. Ironically, it’s possible to do everything right and still end up, upside-down at the bottom of the books. Financial security buckets and asset allocation assignments are some of the most important decisions you will make in your business. And if you don’t lock onto the correct coordinates… You’ll end up climbing up the ladder of success, only to find that you were leaning against the wrong building all along! That’s why, on Day 4, we’ll take a deeper look at what it REALLY takes for you crush your personal goals. Question: What’s number one predictor of a company’s destiny? Answer: It’s the psychology of the organization’s leader. According to Tony, the mindset and beliefs of an organization’s leader marks the difference between success and failure. It’s the difference between a one-time success that’s never followed up —and a consistent habit of meeting and exceeding customer needs. To be successful in business, a leader must learn to destroy the limitations in their mind. We all come up with a story when things aren’t going well and the story is about something that is not our fault and that we can’t control. To be a leader in your field you must step up and commit to mastering the necessary skills and tools. You must decide today how you will run your business — in order to start transforming into the business you need to be. And on Day 5 of Business Mastery, you’ll receive a world-class education on how to clean the cobwebs out of your psychology. Find out how you can personally take control of your company’s destiny… and captain your ship to the greenest pastures conceivable! • EVENT TIMES : 9:00 am to 11:00 pm for each of the 5 days. • Please note times are approximate and subject to change. • Every participant MUST register. The program will start promptly at 9.00am. Ensure you arrive early to check in and get a good seat. Wristbands and nametags will be issued during registration. Please retain both for the duration of the 5-Day Program. If you have lost either your wristband or nametag, event organisers have the right to refuse admission. PLEASE REMEMBER TO TAKE YOUR BELONGINGS WITH YOU AT THE END OF EACH DAY. Please note that if you purchase your tickets from sources other than official Success Resources’ resellers listed on https://businessmasterynl.com/ Success Resources will not be liable, and your ticket will not be valid. Create Exponential Growth And Transform Your Business in Just Five Days! If you paid the full ticket price to attend Business Mastery, but you ended up making a million dollars or more from the experience… would that be worth it? In other words, if you can’t see how to generate an additional one million dollars in revenue after the first day… Simply turn in your manual and materials, and our on-site support team will be happy to issue you a prompt and courteous FULL refund.